When I first took the keys to the Suzuki Burgman Street, I was just admiring the scooter for a while. After that, exactly 29 people asked me about the scooter, its price and then complemented it. The design is not a common one. It is a maxi-styled scooter, inspired from the globally popular, Burgman series. 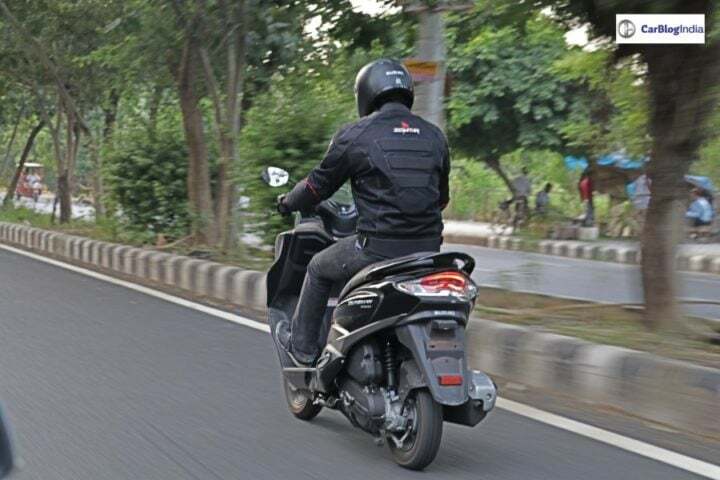 The Burgman series ranges from 650cc to 125cc scooters. However, here in India, we get the 125cc one. 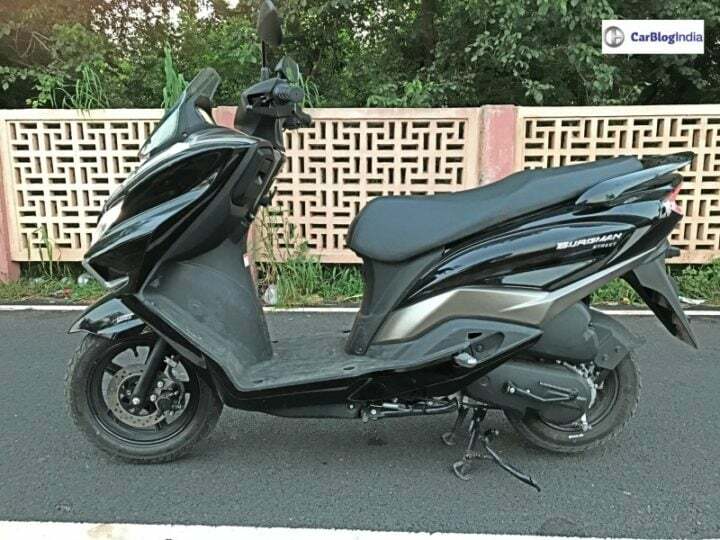 So, we had the Burgman Street for a couple of days and here is a detailed review of the scooter. First, let’s start off with how it looks. This type of design was last seen in the Kinetic Blaze, which came with the catchphrase “Catch me if you can”. Maxi-scooters are good for touring and are more comfortable than normal scooters. When you looking for comfort the Burgman Street is the perfect one. When I took the scooter, one look at the front body and I thought, it is quite big. But here, big is better and more fun. 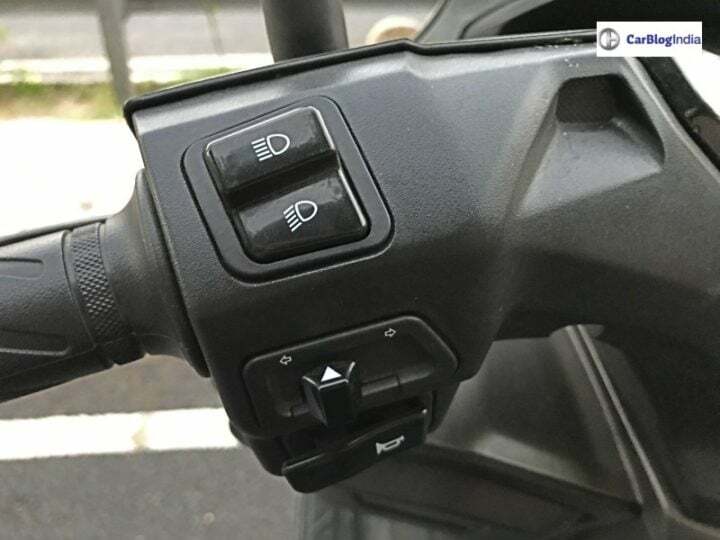 In the front, you get all-LED headlamps which cannot be turned off as per the government’s latest rule for scooters. The power of these headlamps is good enough on dark roads and highways. The reach of the light is amazing. Most of the scooters come with headlamps either placed on the handle or just above the bumper. This one has the headlamps just above the bumper. 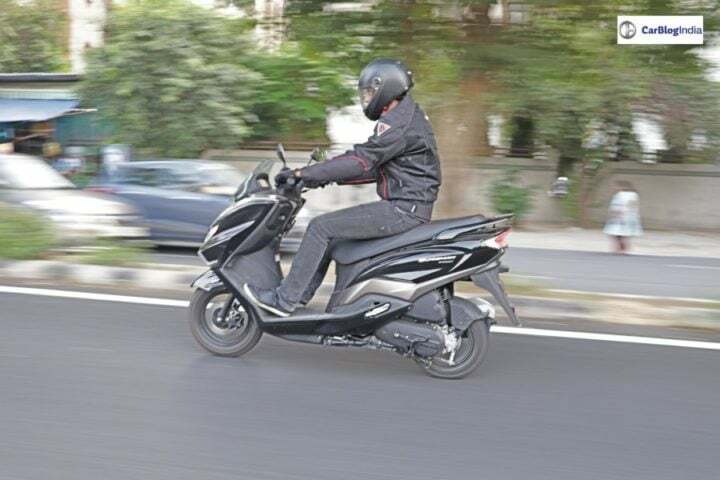 Before that, I would like to say that since it is a maxi-scooter, only the handle and the wheels turn, while the front part of the body, including the headlamps, stay straight. Some might face a problem while turning, because usually, the headlamps turn when the scooter turns, but not with this scooter. 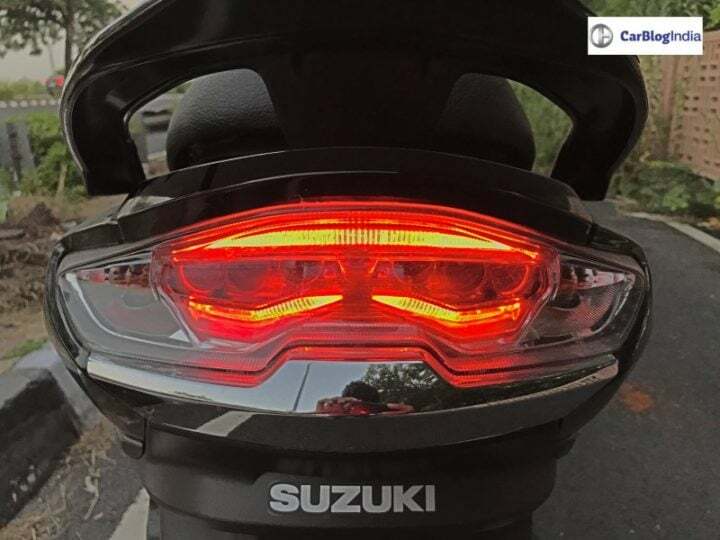 Moving on, the LED indicators are placed on the end of the front body and not near the headlamps. Well, the placement is different but it looks good. 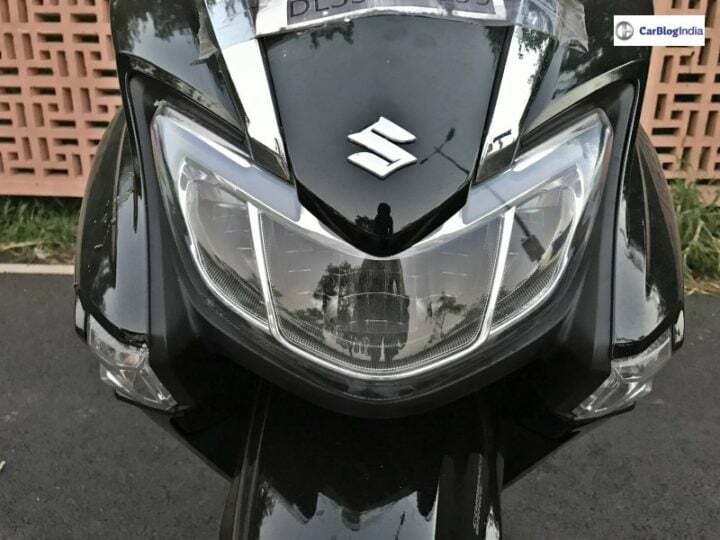 Above the headlamp, you can spot the windscreen which is inspired from the global Burgman series. This adds more to the sporty of Burgman Street. 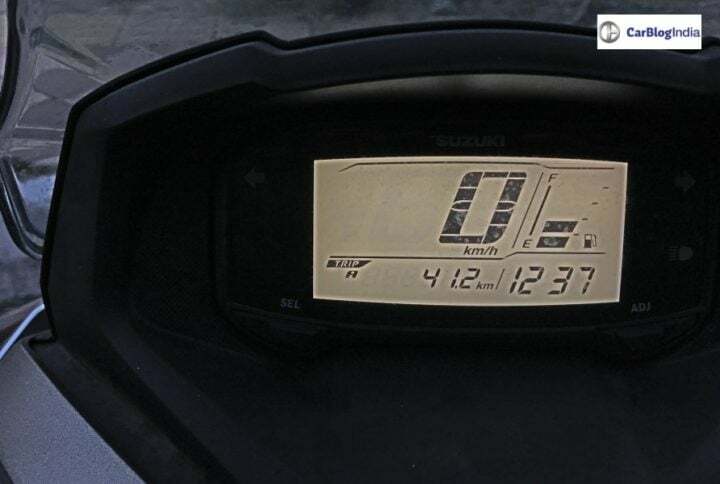 It comes with a fully digital instrument cluster with speedometer, odometer, 2 trip meters, a clock, and fuel gauge. The readings on the cluster are crisp and can be seen clearly even under sunlight. Moving on to the side part, the edges and creases are sharp and premium. Overall, it looks good and well finished. Lastly, at the rear body, you get LED tail lights which are big and come integrated with turn lights. 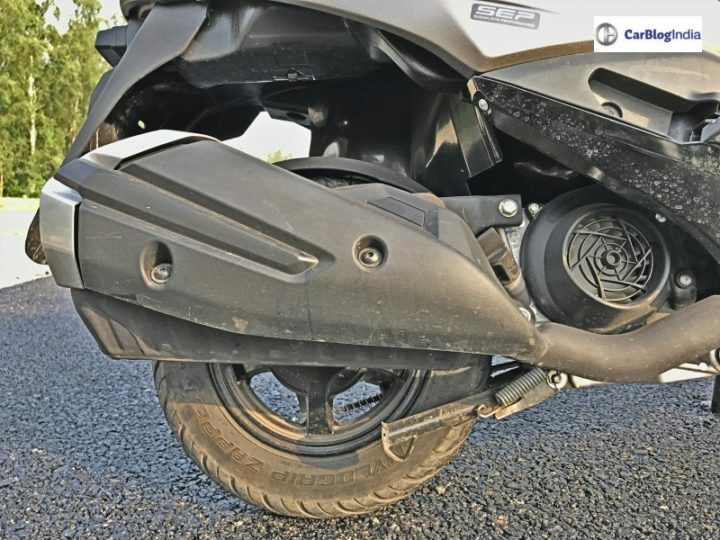 The exhaust muffler is sporty with a silver and black treatment. You might find it big, but it just looks fine enough. Burgman Street comes in many storage options which can fit a bottle, phones, and wallets without even opening the boot. In the front, it gets a bottle holder and a glove box. This glove box has a cigarette lighter installed but you can put a USB charging point over there, by paying some extra. The boot of the scooter also seems pretty fine. It could accommodate a helmet, leaving some more space in the boot. Now, when we first think of a scooter, the first thing that we all care about is the mileage. 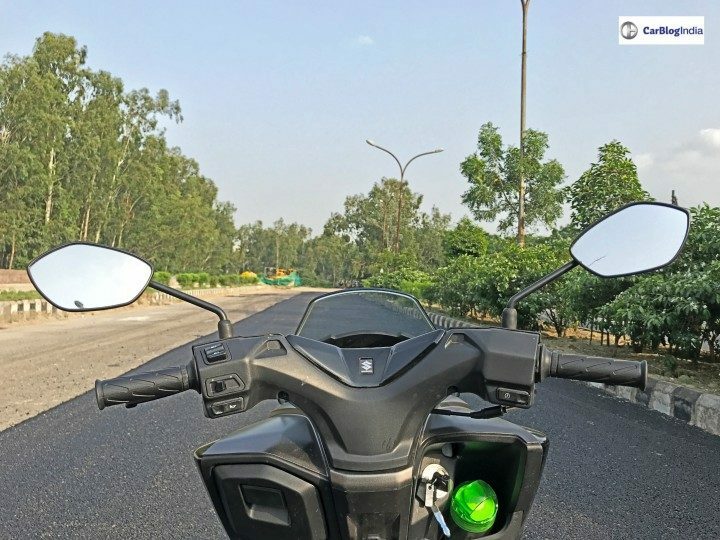 Being a 125cc scooter, the mileage expectations are lower than a 110cc scooter, around 45-50 kmpl on real-road conditions. Let me tell you that the Burgman Street gave a city-mileage of around 43 kmpl average. On highways, it went up to 48 kmpl. It comes with a 5.6 liters tank, which gives a riding range of around 230-250 kms. Now, that’s not bad for a 125cc scooter. Burgman’s engine is borrowed from the Access 125. Although the engine is tuned for more power and a smooth acceleration, when I accelerated the scooter from standstill to 60 km/hr, it took roughly around 8.5 seconds. The power output, torque figure and the acceleration figures are identical to Access. However, the Burgman Street weighs 108 kgs, which is 7 kgs more than Access. So, that’s why the engine comes tuned to keep the power and economy similar to the Access. I achieved a top speed of around 99 km/hr on the scooter and it didn’t wobble much. Even at such high speeds, the vibrations were minimal. The exhaust note was loud but at this speed, it is expected. Even at that speed, it was cruising well without any problem. The acceleration is smooth and the mid-range is even better, which helps you in overtaking easily. In terms of performance, I would say that this scooter did not disappoint me at all. 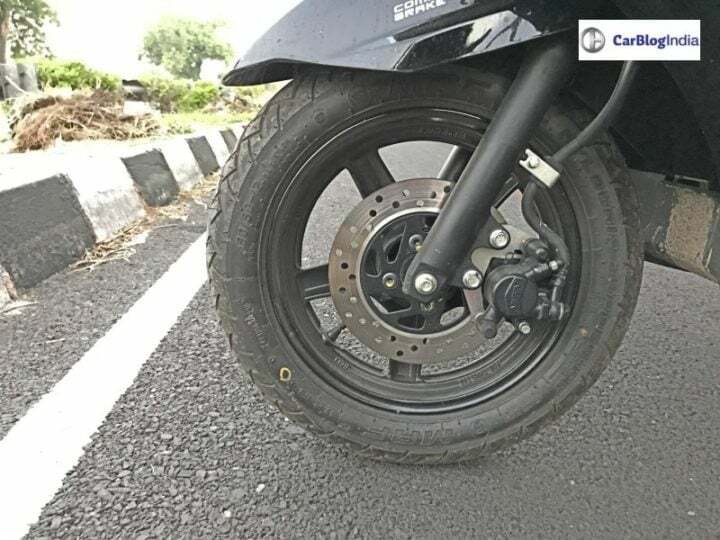 The scooter comes equipped with a front disc brake and rear drum brake. Also, it has a Combined Braking System. In this system, if you press the rear brake, then the system automatically uses both the brakes for a faster halt. Braking from 0-60 km/hr took around 2.3 seconds, which is good enough. The brakes are powerful for sudden emergency braking. Suspension duties of the Burgman Street are done by a telescopic function in the front and hydraulic shock absorbers in the back. While riding over damaged roads and huge potholes, the jerks were minimal and did not make you jump much. Overall, the scooter remains comfortable over bad roads, which is common in our metro cities. Despite having similar figures of wheelbase and ground clearance, it looks bigger than the Access. When two people sit on the scooter, you would appreciate that the seat is quite spacious. The seat height is around 9 mm more than the Access and that’s why the pillion rider sits a bit high. When two people sat on the scooter, the seat was large enough to accommodate both of us easily. My height is 5’9 and I have a habit of taking up half the seat. But even if you are 6 feet and above, there is plenty of room for the pillion rider. Also, here’s what makes it a pure touring scooter. As the front apron is huge, it has a footrest for tall people. I rode it for around 90 kms at a single stretch and there was no sign of back pain. 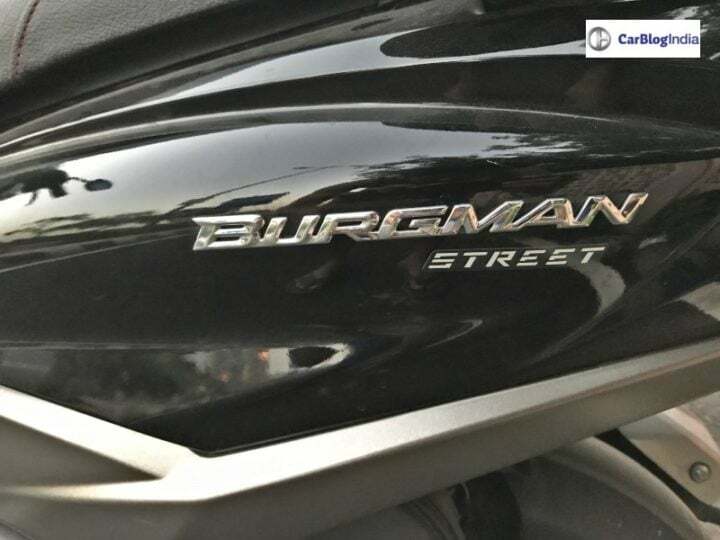 Coming to the engine specifications, the Burgman Street comes with a 124.6cc air-cooled engine. This engine produces 8.7 BHP of power and 10.2 Nm of torque. The figures are just enough for the Burgman. The claimed top speed of this scooter is 95 km/hr. It surely goes above the claimed speed. We have talked about most of the features above. 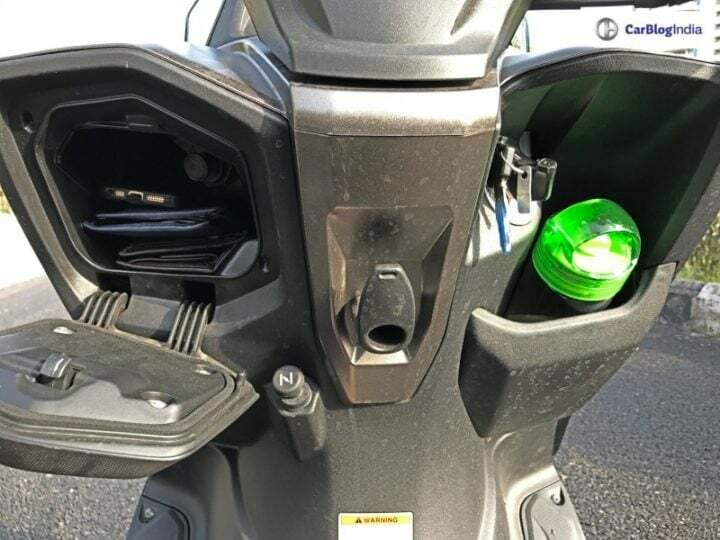 Except for those features, it gets a USB charging socket as an extra paid accessory, tubeless tires, shutter key and central seat lock, heavy storage options and LED lighting. It comes in three color options – Metallic Matte Fibroin Gray, Pearl Mirage White, and Glass Sparkle Black. We had the Glass Sparkle Black color. The Burgman Street is priced at Rs 68,000 (ex-showroom New Delhi). 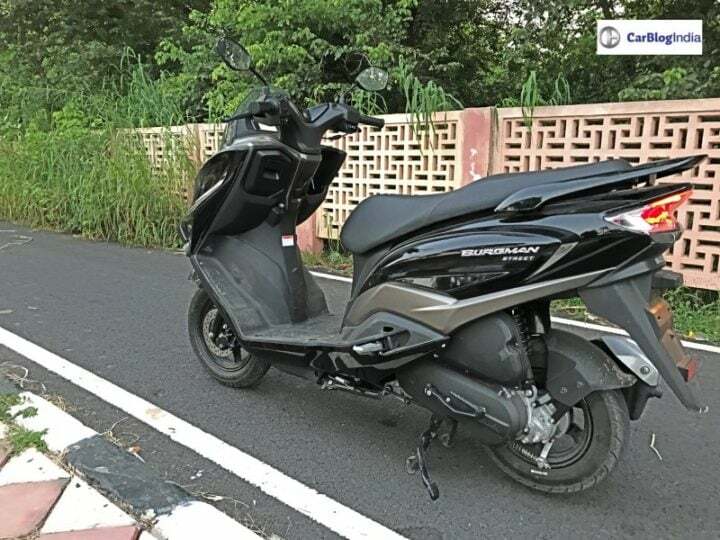 At this price, it takes on the likes of TVS Ntorq, Honda Grazia and Aprilia SR 125. The specs and features are better than the Grazia and SR 125. However, it falls short in front of TVS Ntorq. Nevertheless, it seems to be the most comfortable and mature of all. The Suzuki Burgman Street is a pure touring scooter and would be a great companion for occasional long rides. In terms of features, mileage, performance, suspension, braking, and styling, it gets all the good points. However, the pricing is a bit tricky situation over here. At Rs 68,000 it is pricier than Ntorq, Grazia, and Aprilia SR 125. 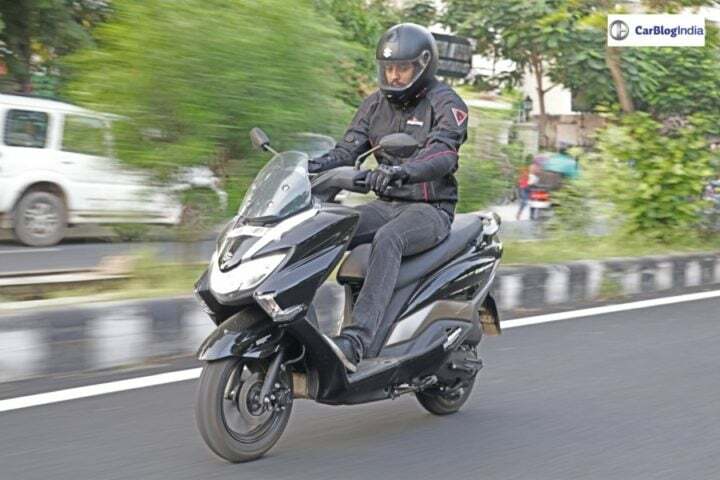 However, keeping the price aside, the Burgman looks like a newly designed scooter, unlike any other one in the market. If the budget is flexible, then the Suzuki Burgman Street would be a good buy.